This informational YouTube tutorial will help teach you how to play the Tetris Theme in no time! The Tetris Theme song is a catchy tune that, once you hear it, you can never seem to get out of your head. There have been countless different variations of the song over the years dating all the way back to the song’s origins. The Tetris Theme is based on a Russian folk song called Korobeiniki and boasts a fascinating musical history which we’ve covered here on our website. If you’re a musician, you may find yourself yearning to learn the song on your instrument of choice. 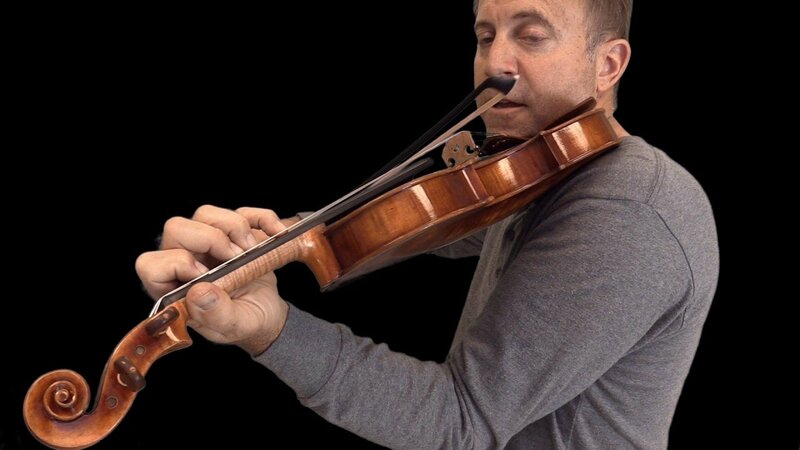 Fortunately for violin players, the YouTube user Fiddlerman recently filmed a video tutorial that will help you learn the Tetris Theme in no time! As a string instrument, the violin can sometimes feel akin to playing Tetris on the keyboard, as it requires precise hand eye coordination. Furthermore, the Tetris Theme on violin has a genuinely authentic sound. Starting things off, Fiddlerman displays the sheet music for the Tetris Theme in the upper left corner of the screen and plays slow, thus allowing you to follow along. He also provides a link to the sheet music in the video description which gives you the opportunity to print it out and practice the song no matter where you are. After showing the basic version of the Tetris Theme, Fiddlerman switches things up and demonstrates a few different variations to try out. Experimentation like this is both a fun way to add your own unique twist to the Tetris Theme, as well as a great way to master the violin. It’s also nice to hear Fiddlerman explain each variation in order to help you follow along. Finally, Fiddlerman ends the video by playing the song in full to show you what it will sound like once you master the full piece. It’s definitely a great video to watch if you’re a violinist looking to add one of the most iconic video game tracks of all time to your repertoire. So, if you’re up to the challenge of learning the Tetris Theme, be sure to follow along and practice, practice, practice! If hearing the Tetris Theme on violin put you in the mood to play a few rounds of Tetris, you can click here to play Tetris right here on our website! This article was not sponsored or endorsed by Fiddlerman and is for informational and commentary purposes only.